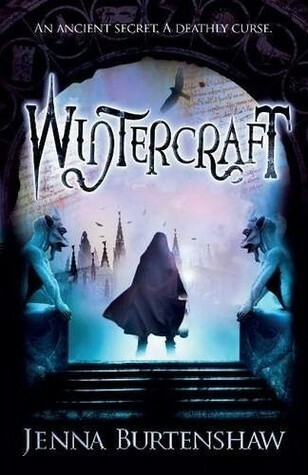 I picked up book one, Wintercraft: Shadowcry on a whim about a month ago and I absolutely adored it. I quickly devoured both Wintercraft: Blackwatch and Wintercraft: Legacy immediately after and although this particular series has ended, Jenna Burtenshaw completed the last book in a way that alludes that there may be more stories involving Kate, Silas and Edgar and let me tell you, I will be at the front of the line if that is the case! If you enjoy fantasy, I suggest you give these books a chance! This entry was posted in Recommend A and tagged paranormal, young adult. Bookmark the permalink. I know what you're saying but it really ended in a conclusive way. It was more open to possibly have companion novels that follow but that particular storyline was ended. I really, REALLY loved them! I can't put my finger on exactly why I loved these but if you are a fantasy lover I really think you'll like them. They are quick reads and are really unique in the genre I think!